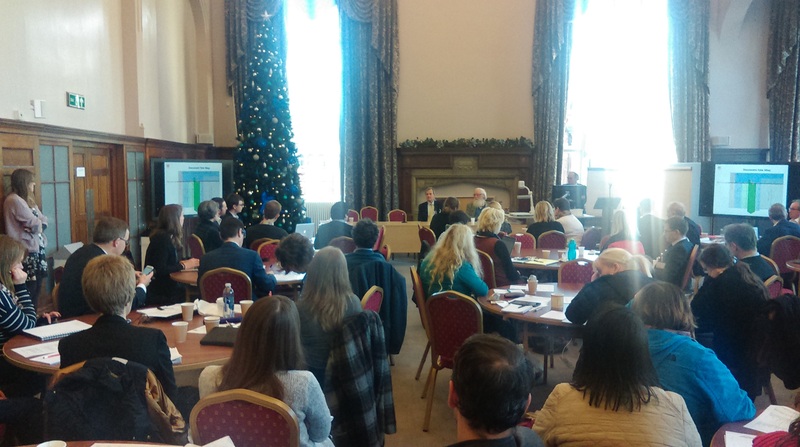 The complex and sometimes contradictary challenges presented by the role of official records in the digital age were eloquently presented and rigorously discussed at a 2-day conference in Newcastle this week. 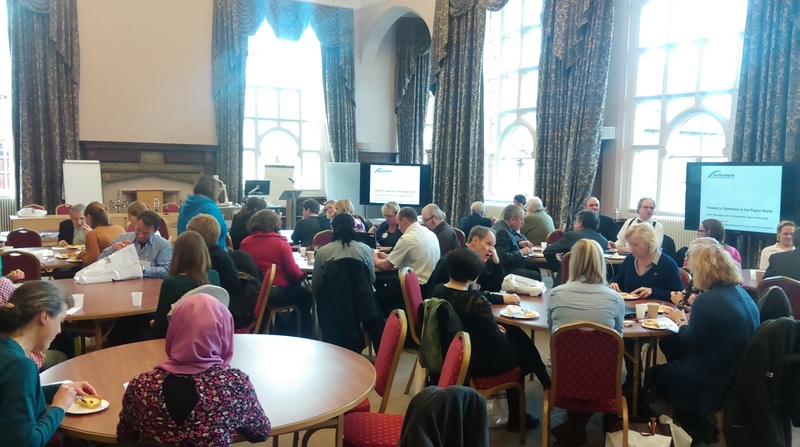 Within the imposing and inspiring ambiance of the Great Hall in the Sutherland Building at Northumbria University, a large audience of interested parties relished the opportunity that this event presented. 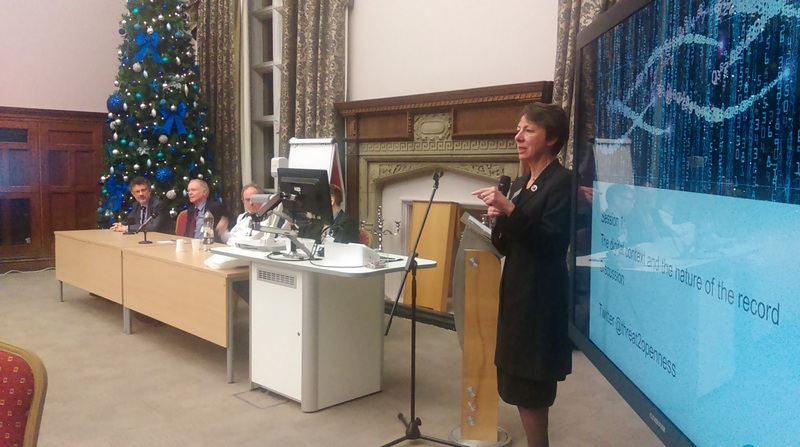 ITaaU was pleased to act as co-sponsor along with the Joseph Rowntree Charitable Trust. 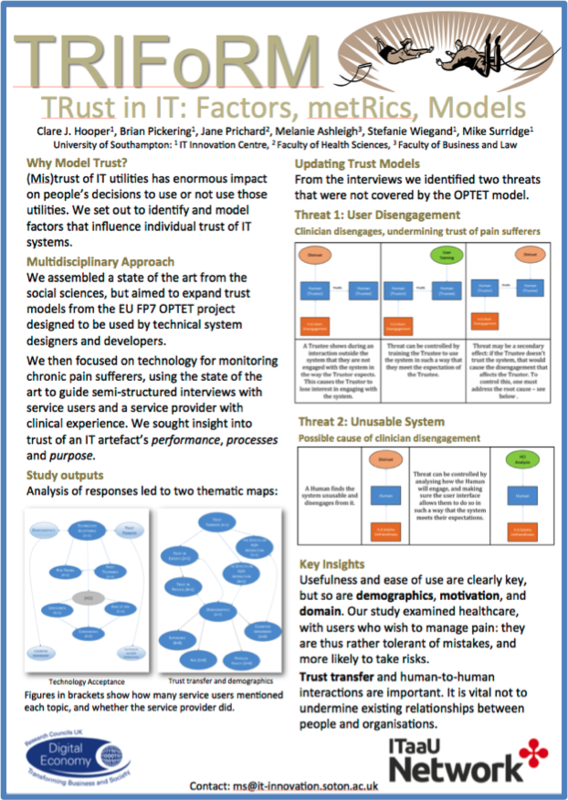 The event continued a line of collaboration between ITaaU and the organisers in the form of work on sensitivity review as records, soon to be increasingly digital, become due for release to the public domain. A more substantial report on the event will follow shortly. Professor Mary Daly, President of the Royal Irish Academy Digital archives, gave an illuminating and enthralling talk on the role of official records in recording decision-making during times of great turmoil, specifically in relation to some recent Irish commissions and inquiries – including the various Banking Inquiries. The Great Hall provided a perfect setting for the two-day conference. 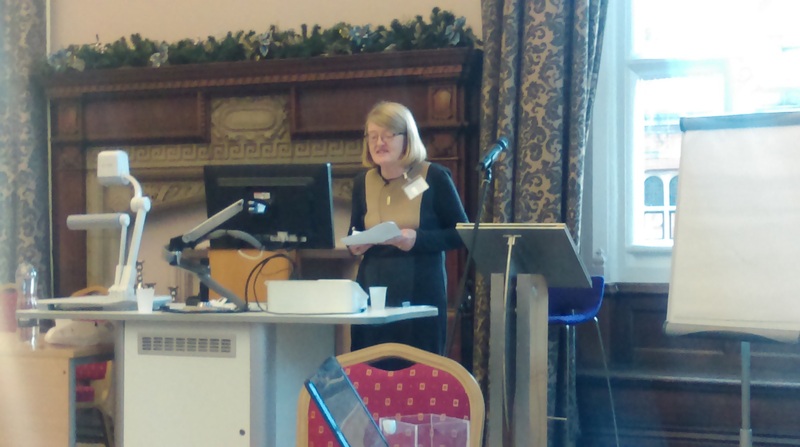 Professor Julie Mcleod, Professor in Records Management in the Department of Mathematics and Information Science iSchool, Northumbria University, opened and closed the conference and ensured that the talks and panel discussions were timely and lively. This entry was posted in Conferences, Events, News, Stories on November 26, 2015 by Stephen Brewer. Applicants are invited to apply for short-­term pilot research study funding from the “IT as a Utility Network+”, set up as a priority challenge area by the RCUK Digital Economy Theme (DE). These pilot studies are part funded by the Food Standards Agency (FSA). It is in the shared interest area of the Internet of Things (IoT) that this call is positioned. These pilot studies will be no longer than 5 months in duration and are intended to test new ideas or create novel linkages between research areas. What happens to food in people’s home? – Temperature control in domestic settings. Projects are expected to last for a maximum of 3 months and must finish with all deliverables completed and invoices sent to Southampton by 23rd March 2016. Projects must be interdisciplinary in nature, and should preferably involve more than one institution or organisation. Applications must be made on the ITaaU application form, and must not exceed 8 pages. They must be accompanied by a Gantt chart style project plan. Applicants must include in the budget travel to the ITaaU/FSA workshop in 7-8th March 2016 (most likely that this will be held in London) in order to report on their project. As stated we hereby provide answers to the queries that we have received so far. Projects will be reviewed and those that we hope to award will be announced on Monday 9th Nov but will be subject to being able to negotiations to agree a contract. Work cannot formally start until the contract has been awarded. The suggested number of months for the project (FTE) was given as a guideline. The important detail is that all work must be finished reported invoiced by 23rd March – no extension will be possible and all invoices must have been presented by the 23rd March otherwise payment can not be made. Applicants and Institutions can submit more than one application, but these will be judged separately so cannot be interdependent. All projects will be evaluated on their merit. A person can lead more than one project but in all cases explanation and justification of high quality appropriate supervision/project management will be needed. The FSA has an interest in the temperature of food in fridges (rather than the fridge itself). In all applications, generic IoT technology should be used to link sensors and record and publish data in preference to bespoke data loggers. 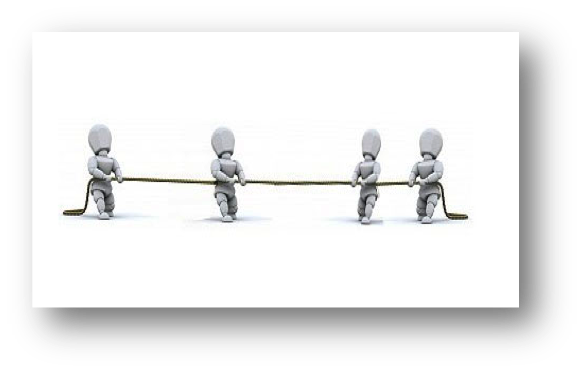 This is in order to improve the scalability of projects. We are happy to deal with queries regarding RCUK style finances, especially from institutions not used to this model of funding, and will deal with these queries individually. Please contact the ITaaU Network+ administrator (s.j.milsted@soton.ac.uk) with any queries. This entry was posted in News on October 7, 2015 by Stephen Brewer. Philip Godsiff, Surrey Business School: The role of crypto-currencies: money as a utility? Andy Stanford-Clark, IBM: What next for the Internet of Things? 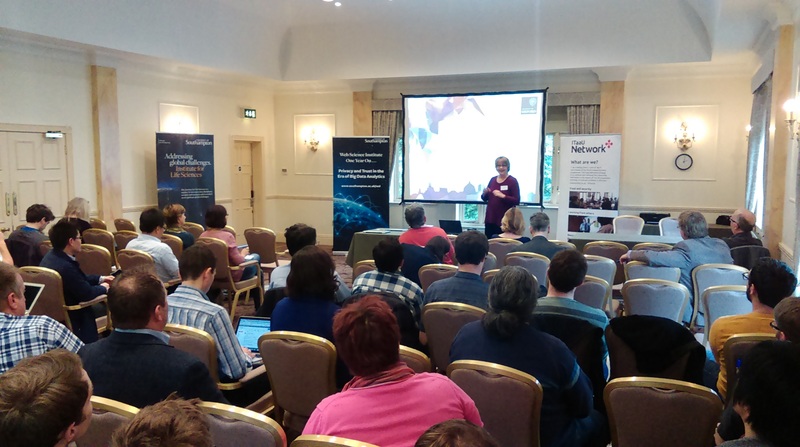 The conference took place on the 6-7th July in Southampton at the Solent Conference Centre in the City Centre. Further reports, photos, slides sets and films will appear shortly. This entry was posted in Conferences, Events, News, Stories on July 27, 2015 by Stephen Brewer.